Fall is in the air! I am seeing Fall inspired projects all over and my Blog is no exception. Here's peek at my Fall inspired project where you'll find this adorable Squirrel Charm. Did you know you can ink up your metal charms! I used alcohol ink these Metal Alloy Squirrel Charms however the Distress Paints work AMAZING helping to coordinate your metal embellishments to your project. 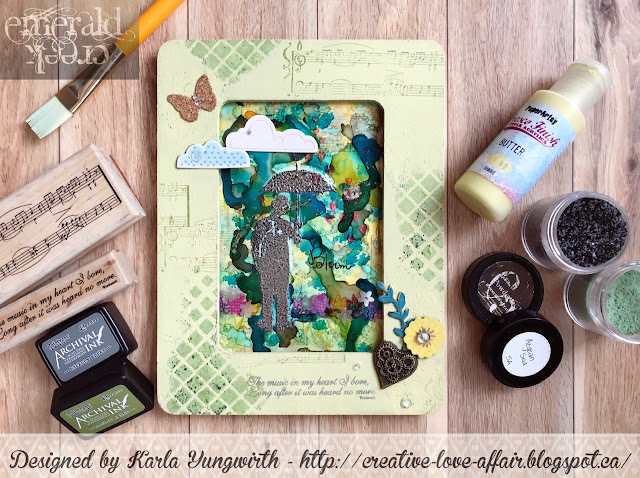 While you're there check out how I used the new Tim Holtz Zig Zag stencil. Want to see more than a peek...well you can see a lot more. Check out how I used my little metal squirrel to accent a fun Fall project. Here is the art and i tell the everyone that i am the expert of this art. This kind of art is just showing us the best essay writing service reviews but that kind of art which was in our mind is the best for us and also to draw that thing is the best. To be honest that this is all very interesting for us.